Secure and more private internet access"
This software is useful for people in countries like China, Iran, Vietnam or any other country to get access to all internet resources in a few clicks. 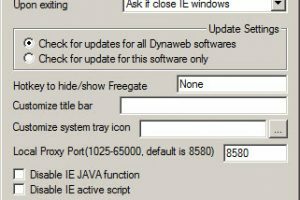 Freegate can be enabled with a single click. The program is simple and includes an option to cleanup the history of internet . This feature will erase all temporary files of visited websites. 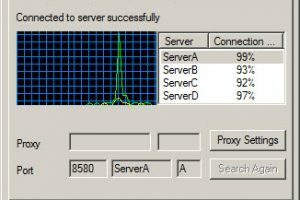 Is running fast and you will not have delays of Internet speed. By default is designed to work with Internet Explorer browser. 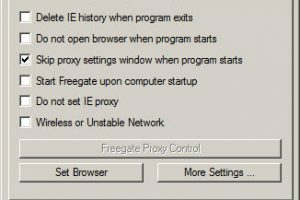 If you are using another browser, you need to enter a proxy address in your browser settings (see details in Freegate program interface after installation, at “Status” section). An alternative program that you may try is JAP/JonDo. 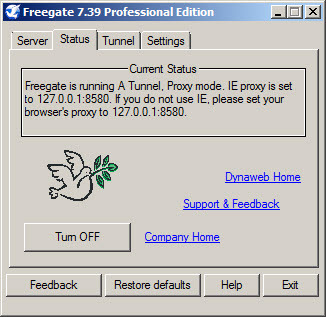 Freegate is licensed as freeware for PC or laptop with Windows 32 bit and 64 bit operating system. It is in anonymous proxy category and is available to all software users as a free download. 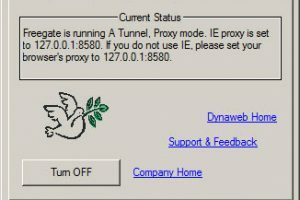 Protect the real IP on ..
Use another server to change ..
A Socks5 proxy server and ..